Stringent Industry-based security standards were used to design and build BoardBookit, and those same standards are used to maintain it. 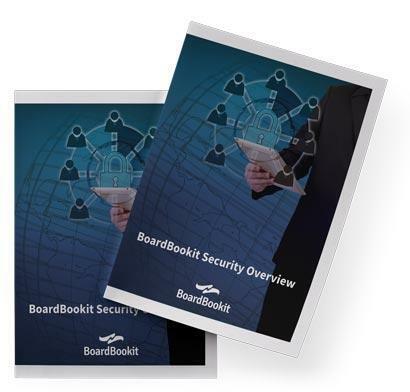 Download your own copy of the BoardBookit security overview for more details about how you can best protect your sensitive board business with BoardBookit. BoaradBookit is certified secure by SOC and audited by third party verification with robust encryption . You can take security one step further with two-factor authentication (2FA). BoardBookit also has full remote-wipe capabilities for added protection.